Updated Monday April 1, 2019 by David Lum. 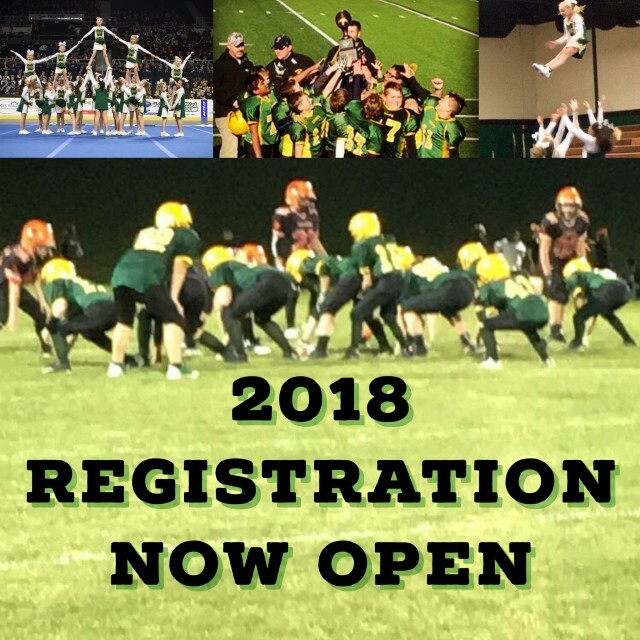 The Grafton Youth Football and Cheer Program is pleased to announce that our Registration is NOW OPEN for the 2019 season!! Registration is open through May 31st. Late fees will be added to anyone registering after 5/31. Registration is open through June 18th. Late fees will be added to anyone registering after 6/18. Practices will begin in August. Registration Fees include a mandatory $50 for Calendar Raffle tickets. Tickets will be distributed at Equipment/Uniform handout. Athletes are then only responsible for turning in the funds raised for raffles sales over and above the first $50. * Registration for the 8th grade team includes a personalized game jersey. **Registration for the Flag Team includes a custom game shirt. *** Please see our page on Flex Flag for more details. ****GYFC will provide uniforms and the cost of a team t-shirt and bow is included in the registration fee. Sneakers, crop tops, bloomers must be purchased seperately at the beginning of season.